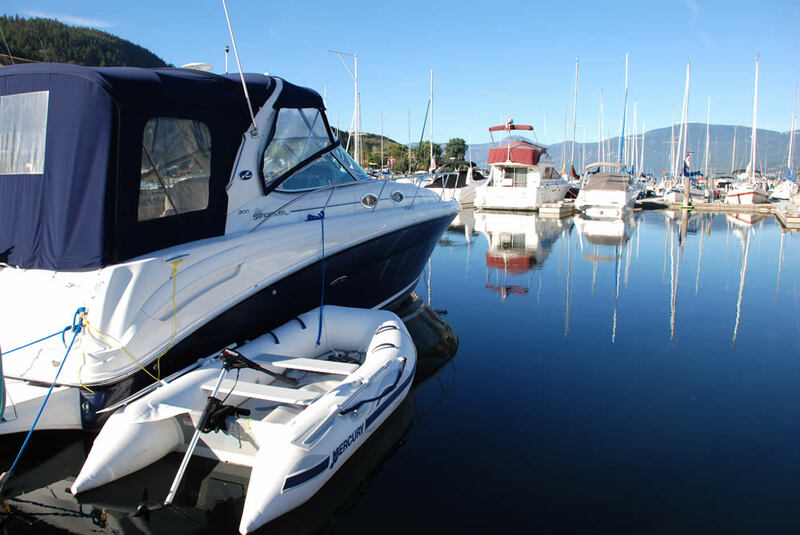 Since 1961, The Vernon Canadian Power and Sail Squadron and the Vernon Yacht Club have enjoyed a close relationship. The Yacht Club provides its Clubhouse as a meeting place and a training facility. The Canadian Power and Sail Squadron promotes safe boating through its training programs and offers many boating related courses to both the general public and VYC members. The VYC Flag is proudly flown alongside of the CPS Flag on the flagstaff overlooking the marina as a tribute to the Yacht Club and Power Squadron’s dedication to promoting safe boating. In addition to supporting the CPS the VYC maintains mooring buoys throughout the North end of Okanagan Lake. Members of all Okanagan Yacht Clubs and the general boating public enjoy the use of these familiar orange buoys. The Vernon Yacht Club is proud to be affiliated with Safe Boating programs. During VYC’s Annual Boat Show in May, the Canadian Coast Guard and other safe boating agencies are invited to make presentations to promote safe and enjoyable boating.